IT, like Engineering has always been a traditionally male dominated field. With so many diversity promoting programs across educational institutions and corporations, you might think that the situation is already being dealt with. However, the core of the problem still exists. Not enough females are enrolling in IT degrees, and even less are acquiring technical jobs in the industry. This is a compelling issue for the Australian economy as a CSIRO and Intel report from 2016 predicted that over the next five years, 100,000 workers would be required to support the rapidly growing digital industry in Australia. Moving on to the hiring practice in the technology field, Maria Klawe, president of Harvey Mudd College and an advocate for increasing the presence of women and minorities in computer science, points out that the interview process at tech companies can be very “adversarial, bragging, trying to show how much smarter they are”. Klawe elaborates that “there are some women who feel perfectly comfortable in those environments, but I would say for the most part they don’t.” It appears that the issue has its roots in the paltry number of women studying IT, and then trickles further down through recruitment and hiring, leaving out more women along the way. Other than the obvious duty of promoting inclusivity in the workplace, there are many benefits of including women in technology roles. Increasing the number of female employees, particularly in leadership roles, has positive repercussions for both the bottom line and solving complex business problems. A global survey of over 20,000 firms from 91 countries published in the Peterson Institute for International Economics working paper found that a company with a 30% female leadership was 15% more profitable than an otherwise similar company with no female leaders. Furthermore, numerous studies conducted by researchers from a variety of fields including scientists, sociologists and demographers have shown that groups comprised of individuals of different genders, sexual orientation, cultural backgrounds and ethnicities tend to be better at innovation and solving complex problems than homogenous groups. 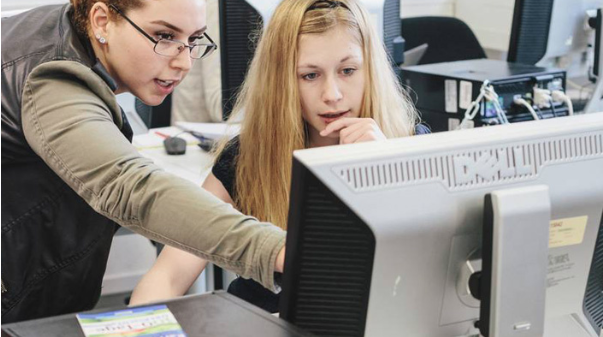 There are numerous changes that can be made to improve female participation in the IT field, starting from education at a young age. CSIRO and Intel’s collaboration report details four strategies, elaborating in depth on what the aim of each strategy is and the approach that should be taken to implement them. The strategies include engaging girls in the Digital Technologies curriculum, parental preconceptions and influences, role models and mentors and coding clubs for girls. The key point appears to be for young girls to have positive female role models with a career in IT so that it is seen as a viable career option. In Deloitte’s 2013 report Women in ICT, based on interviews from some of Australia’s top female IT leaders, it was found that most interviewees saw the lack of understanding on career options in IT as the basis for the scarcity of female involvement. Suzanne Campbell, CEO of the Australian Information Industry Association, recommends that “we must identify and promote younger and more relevant role models to profile our industry”. With regards to the absence of female applicants for technology roles, Maria Klawe, president of Harvey Mudd College suggests that companies list communication skills, creativity and other soft skills as qualities they seek in applicants since women are generally more confident about these characteristics. With the current technology industry booming, there’s no better time than now to take promoting female participation seriously. Key areas that are likely to yield the greatest impact is early IT education and increasing females in leadership roles. It should be noted that the repercussions of the current trend will not just affect women, but the IT industry and economy as a whole due to untapped innovation and value that more women are likely to bring. Landing a job - not as you know it.